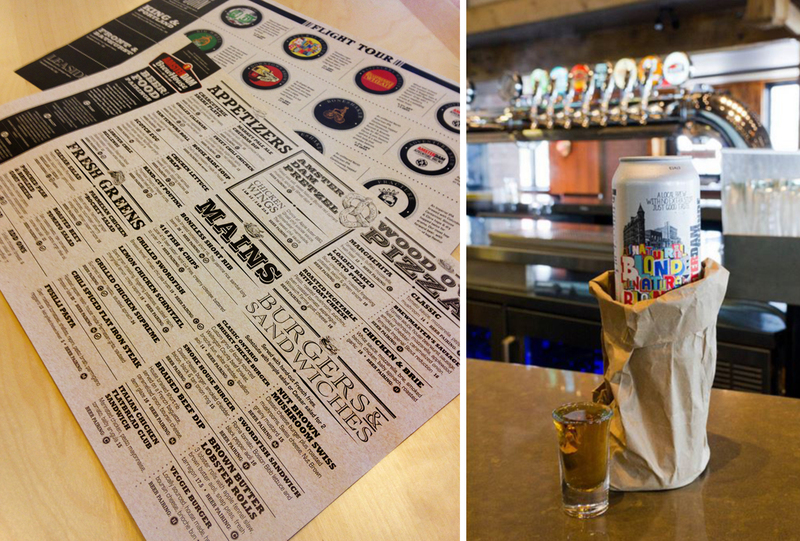 Can a tall glass of cold beer and a good burger change the course of history? The story of Toronto’s Harbourfront mirrors that of most North American prominent port cities in the 19th and early 20th century. The many piers with their large wooden sheds served as bustling gateways connecting Central Canada to the rest of the world. By the mid 20th century however, shipping goods by sea had become a slow and expensive option and eventually Toronto’s waterfront fell into disrepair and was largely forgotten. Thankfully, being “out of sight and out of mind” meant that many architectural remnants of this urban industrial heritage still remain in tact today. 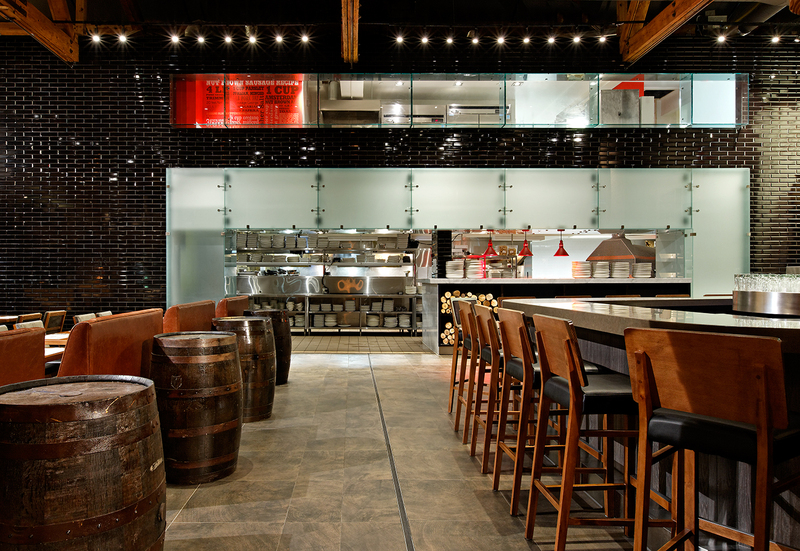 Our brewery restaurant site, known as Pier 4, is located at 245 Queen’s Quay West. It was originally called the Simcoe Street Slip Freight Shed and was built in spring of 1930 for the Tree Line Navigation Company. The structure stored cargo that was destined for distribution by rail that was located just north of the Pier. Our team wanted to work with the Amsterdam team to create a very special hospitality experience that would become an important destination for local, national and international visitors and most importantly enhance the quality of life for local residents. We believed that the waterfront is a majorly undeveloped asset for Toronto tourism and the use of local residents. It represents an obvious location for the interpretation and showcasing of Toronto’s historic and archaeological assets. 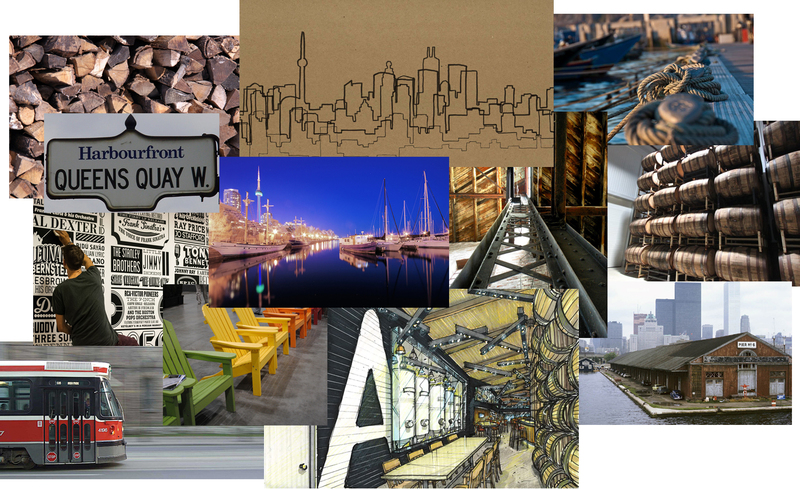 These are assets that can help to differentiate the Toronto experience. 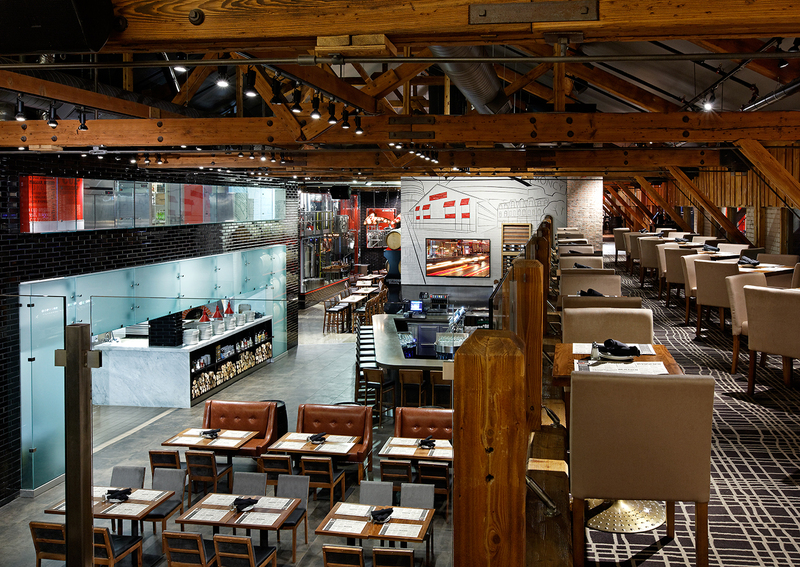 Our design strategy called for the protection, enhancement and promotion of Pier 4’s heritage in an authentic and uncomplicated manner. The interior and exterior concept celebrates the simple style of architecture that dominated the waterfront during the late 19th and 20th centuries and speaks to an important chapter the city’s history. 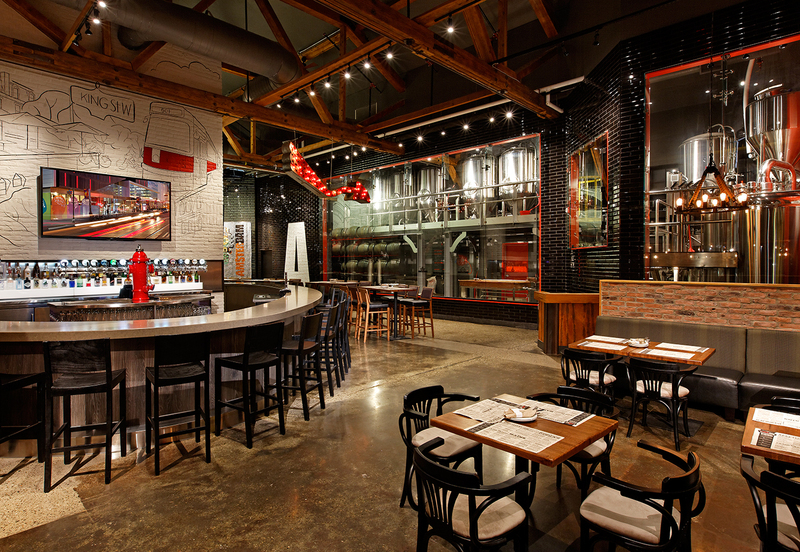 The north end of the BrewHouse was fully restored using IPE hardwood siding. The fresh and contemporary Amsterdam Retail Store keeps local beer fans happy with fresh small batch brews. Amsterdam created it’s first small batch ale more then 40 years ago, officially making it Toronto’s original downtown craft brewery. 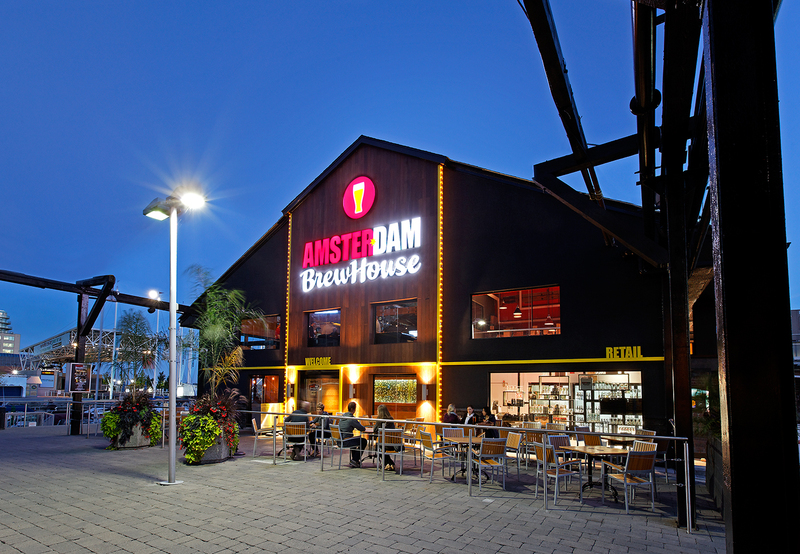 Our design concept celebrates Amsterdam Brewery’s ongoing love affair with the city and its diverse population. What strikes you about the space is its sheer ambition. 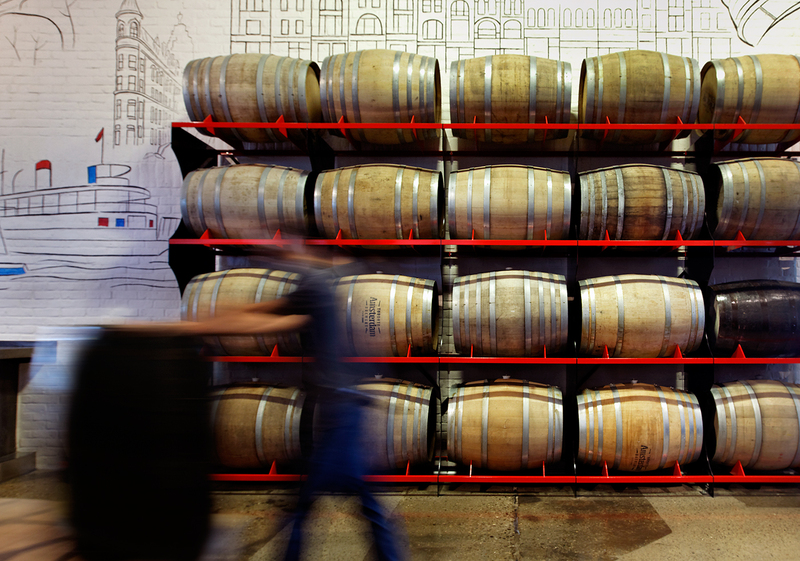 The ceilings are high and vaulted with exposed, natural wood beams and, as you take in the enormity of the space, rows of TVs, and gleaming fermenters in the brewery, it's immediately apparent that Amsterdam has done something that exists nowhere else in the city. The Ownership team not only poured their heart into saving this wonderful industrial building from decades of neglect, but emptied their pocketbooks too. As a result the architectural spirit of this property has been renewed. 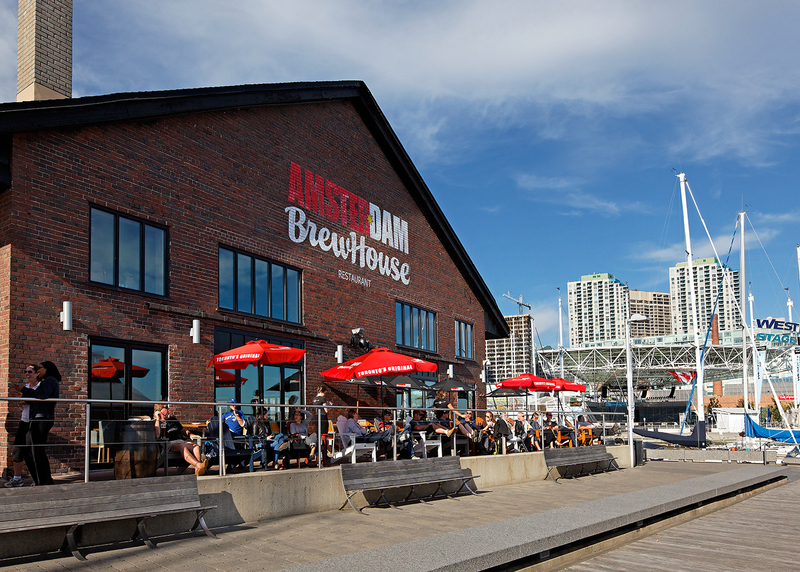 The hard work has paid off handsomely, because The Amsterdam BrewHouse has become an acclaimed example of waterfront renewal. 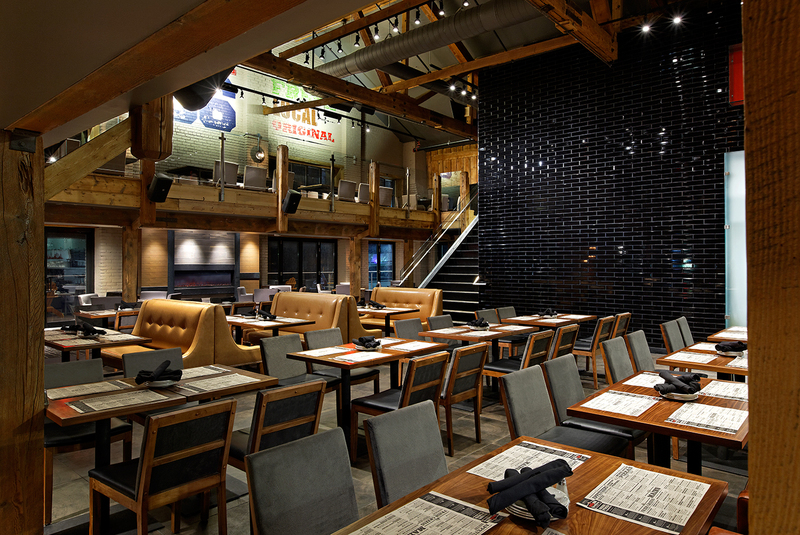 It has become a favourite social destination for thirsty Torontonians and an exciting urban attraction for tourists. 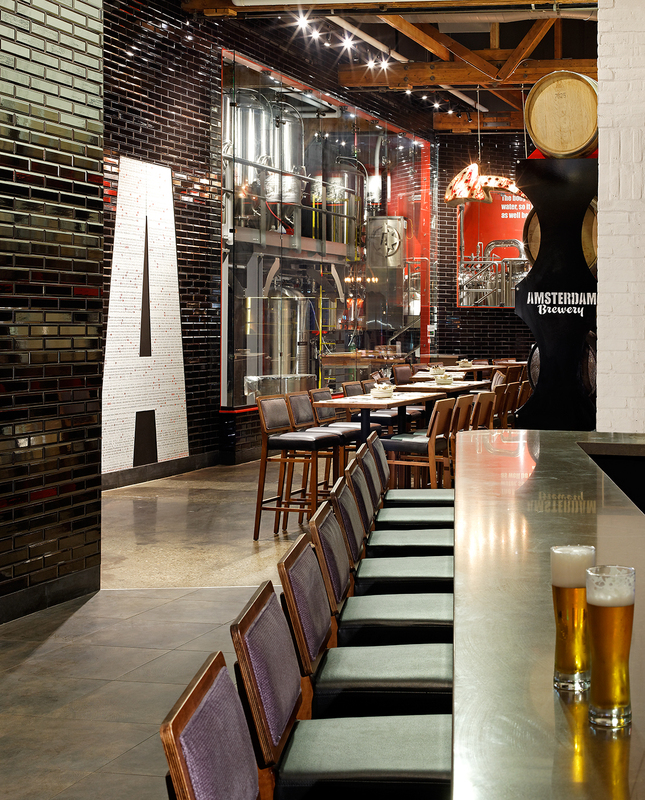 Beyond the two-storey brewery, which is showcased behind a contemporary glass wall, a guest will discover a second beer tasting bar that is located adjacent to the open show kitchen. Framed by frosted glass panels, the kitchen features a traditional wood burning oven and a prep area that overlooks the main dining room. These waterfront spaces are a huge draw for the city and most notably, one patio is home to a row of 16 colourful and iconic Muskoka chairs. Perfect for a beer on the Pier. 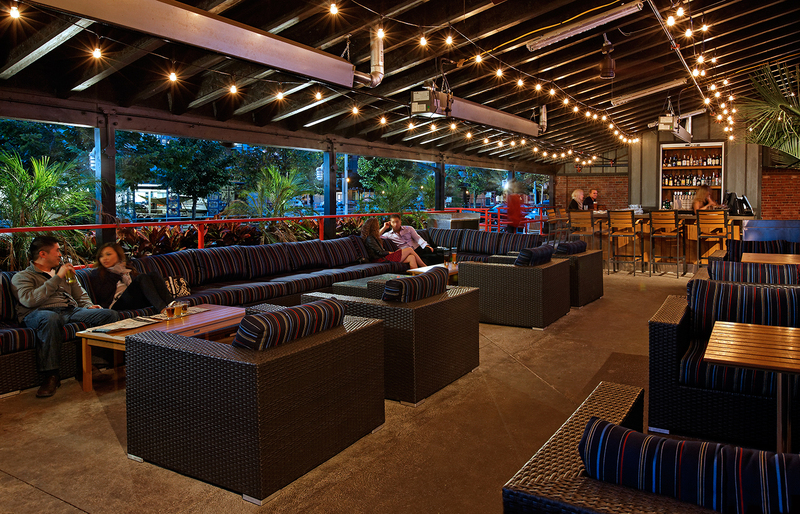 The BrewHouse features three patios that can seat an additional 300 guests. Beer is clearly the story here as experienced through their wide selection of draft, cask offerings, seasonals, and even bottles from the cellar. As a fun and educational way to sample your way through the beer menu, the BrewHouse offers a series of tasting flights, each named with a nod to the brewery's past: there's the Richmond and John, the King and Portland, the Front and Bathurst, and the Leaside.